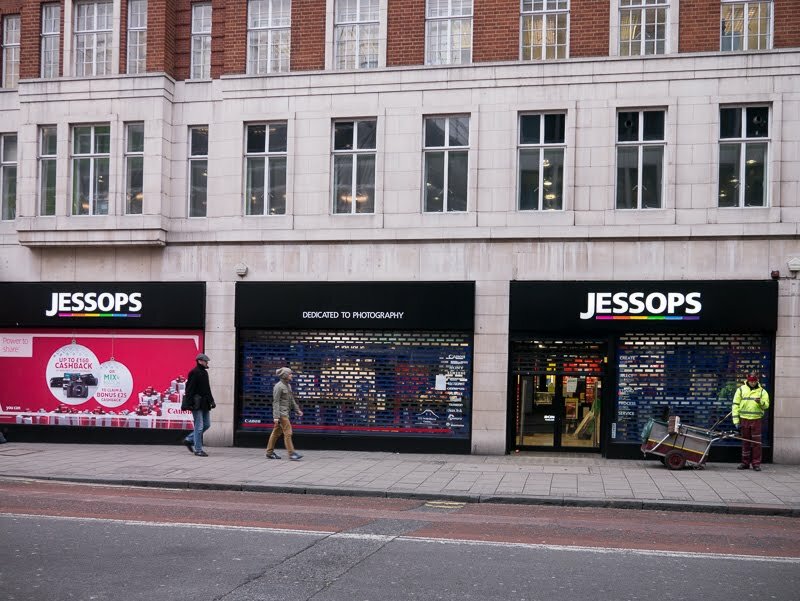 Jessops has gone. 187 stores have shut their doors and 1370 people have lost their jobs. Jessops was a large high street camera retail store that in recent years has struggled to compete with Internet sales. We are seeing a number of casualties such as this at present. Just before Xmas Clinton cards closed its doors, and this week HMV announced that it will be closing 60 stores over the next 12 months. Jessops is a sad loss! That shop was full of helpful, knowledgeable people. 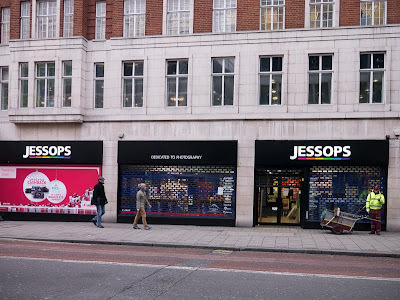 Oh no, I had no idea Jessops has closed. Wow. What a moment. It is always sad to see this. Over here Ritz Camera is gone and some other as well. Oh no, that is such sad news. I mean, not just about Jessops (which I've never heard of 'til now), but all those closures and loss of jobs. Not a good Christmas or new year for so many people. We've had a couple of camera stores close here but, there is still one not far from me that seems to be holding on. In fact, that's where I bought my new camera. I do miss the book stores! I don't even know where one still exists. It's always sad to see shops that have lasted for what seems like forever go out of business. We're lucky here in Canada, our HMV stores are still doing okay. It's so terrible about Jessops! I heard the HMV news too, they've been struggling in the Northeast US. I feel for all those affected with job losses, and in a new year too. Technology and online shopping have had big effects on brick-and-mortar stores. The lower prices are good for the consumer, but the lower employment levels are very bad for the employees who are losing good jobs. Yes its sad. When I first started doing photgraphy Jessops had just one store in Leicester and most of the business was mail order. But then they were the cheapest around. We saw the same thing in Sweden last year. A couple of big chains closed. Oh no..I used to get my cousin to bring me out film that I couldn't get here in Perth from Jessops. So sad to hear of more people losing their jobs, a sign of the times. It wasn't the Internet that killed Jessops (or Ritz/Wolf in the US. It was, ironically, the digital camera. Camera sales were a big profit item for stores, but film processing is what paid the bills.